So in this post, I will give you our top 5 benefits of choosing a paid email service over using a free one. I don’t know how many times I’ve received a business card with a @gmail.com, @yahoo.com or @hotmail.com email address on the back. Or driving past a company branded vehicle with the email addresses belonging to the same free email services mentioned previously printed on the vehicle. 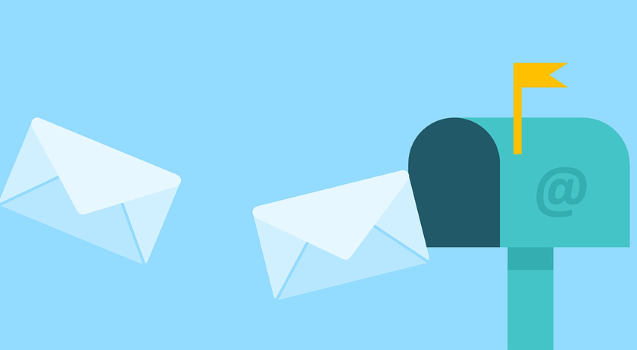 So why do many professional business owners still use a free email service for their email? Perhaps the free email is saving them money? Or they’ve had it for a long time. Neither of these is good arguments if you truly want to be taken seriously and want to grow your business safely. – You are not organized or professional enough to get a domain name for your company. – The email you send is coming from your personal email account and not your business. – You are not concerned with their privacy. – You do not have a domain name, are you serious about your business. So to eliminate all of this and look professional, get a domain name and hosting for your company. As a business owner you will always look for opportunities to advertise the name of your business, right? So there is no better way to do this than have your business name/domain in your email correspondence. This means that any touch point with a customer via email, will highlight your business name. It’s like free marketing. This too makes you look more professional as well. With a hosted service you will most likely get a great level of support from your hosting company. I’m sure you have never tried to get on the phone with Google for issues with your Gmail? With a company like GP Hosting, you get to deal with real people when you need assistance. More than one email user in your business? Managing all email accounts for users in your business. Create, delete, update passwords, set mailbox size limits, this can be managed via our easy to use control panels. 5) Your Email is less likely to be mistaken for SPAM. With most Spammers typically using free email accounts to send out SPAM these days, most SPAM filters treat free email services more harshly. Reason is that is easier for them to do so cause it does not cost anything. Bonus Tip: I’m not ready to register a domain and host a website. This is another one of the reasons I always hear business owners saying, why they use free email services. Well, we are happy to inform you that GP Hosting does have email only packages. These packages are designed for small business owners that want the above benefits but are not ready to commit to hosting their own website. Once you are ready for a website, these email packages can easily be upgraded to our windows hosting packages. Next: Next post: New Cloud Hosting Product Range Launched!